NEW YORK (February 12, 2018) – Veteran owned businesses are some of the hottest new ventures in America. Many of these fast-growing companies are growing at exponential rates attracting attention from the public and private sectors alike. On February 17, the Institute for Veterans and Military Families (IVMF) at Syracuse University in Partnership with Inc. Magazine is releasing their first ever list of the fastest-growing veteran-owned businesses in the country. The Vet50, powered by First Data, the global payment technology solutions company, identifies the fastest-growing veteran-owned businesses based on revenue. According to the Small Business Administration (SBA), veterans are the most successful business owners in America. Currently there are over 2.5 million veteran-owned businesses, employing over 5 million U.S. citizens and generating more than $1.1 trillion dollars in revenue. The IVMF is launching this new national convening catering to the needs and issues of veteran business owners looking to grow their venture by bringing them together with companies ready to finance, do business with and help them expand. The Veteran EDGE conference takes place February 16 – 18, 2018 in Austin, Texas – a state with the second largest population of veteran-owned businesses. 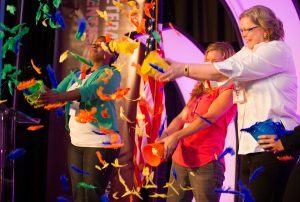 The Veteran EDGE Conference brings together over 300 stakeholders, to include researchers, thought leaders, veteran service and small business organizations. Some of this country’s top companies are also taking notice of veteran businesses and looking to do more business with them. As part of the conference, the VetSource program provides veteran business owners with the opportunity to connect with leading companies including First Data, USAA, Bank of America, Travelers, La Quinta, Walmart, and thinkThin. They will also attend training sessions to ensure they are prepared for new contracting opportunities. The goal is simple: broaden the ability of veteran business owners to grow their businesses. Get more information on the Inc. Vet50 list powered by First Data. Media wanting an opportunity to interview IVMF entrepreneurship leadership, company sponsors, CEOS from one of the Vet50 companies or military and government VIPs speaking at the conference can contact Ronnie Burnett at ronnie.burnett@marchcorp.com. Founded in 1979 and acquired in 2005 by Mansueto Ventures, Inc. is the only major brand dedicated exclusively to owners and managers of growing private companies, with the aim to deliver real solutions for today’s innovative company builders. Total monthly audience reach for the brand has grown significantly from 2,000,000 in 2010 to over 20,000,000 today. For more information, visit http://www.inc.com/. The Inc. 5000 is a list of the fastest-growing private companies in the U.S. Now in its 37th year, this prestigious list of the nation’s most successful private companies has become the hallmark of entrepreneurial success.